I was really disappointed to hear reports of more vandalism in the Perth Road area. The Tayside Hindu Cultural and Community Centre in Taylor's Lane has had graffiti daubed on it. It is disgusting that this should happen to any place of worship. I hope that those responsible are caught and dealt with accordingly. I would urge anyone with information about this to contact the police. 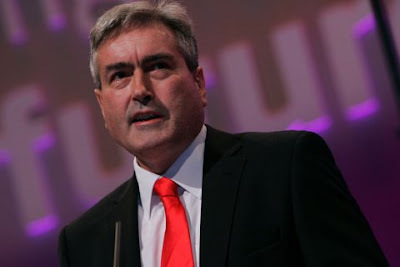 Scottish Labour Leader Iain Gray has announced the next step in the most ambitious reform of elderly care in Scotland since the creation of the NHS. Labour intends to create a National Care Service within the lifetime of the next Parliament. At a press conference in Glasgow, Mr Gray announced the membership and remit of the Expert Group on Future Options for Social Care, which will be chaired by Sir John Arbuthnott, to advise on the creation of the new service. The Expert Panel will undertake a series of ‘listening exercises’ across Scotland and produce a report by April next year setting out the principles that will underpin a National Care Service and how it will improve the experience of people requiring care, their carers and their families. “Almost every family in Scotland will know what it is like to care for an elderly relative. It can mean a daily battle with the NHS or social work for services that vary enormously across the country. 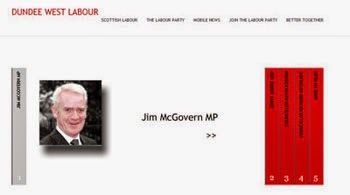 Scottish Labour introduced Free Personal Care for the elderly and we are proud of that. But the time has come to improve the delivery and consistency of care. “I want Scotland to have a National Care Service on which our people can depend within the lifetime of the next Parliament. This is about the local delivery of national standards of care and an end to the postcode lottery. Just as our predecessors rose to the challenge of the last century and created the NHS, we must rise to the challenge of the twenty-first century and ensure our elderly and disabled citizens receive the social care they need. “This is one of the greatest challenges facing society in coming years. The rapid increase in the older population is fully recognised. The help and support that assures the wellbeing of older people and allows them to participate as fully as possible in their communities is a priority. They have much to offer in wisdom and experience. “Colleagues on the expert group have longstanding experience in providing care and treatment for this age group. But we will also welcome the the views of the voluntary sector, including churches, faith groups as well as of families who provide much of the front line love and care. The views of older people are also central. 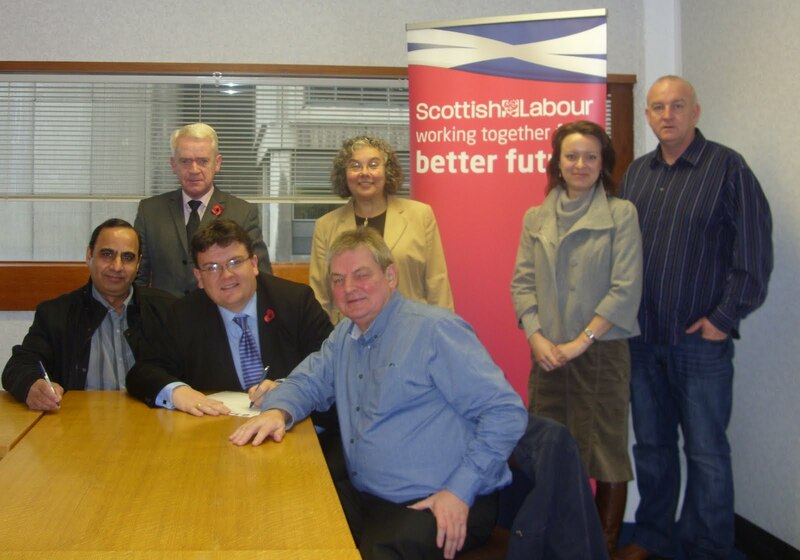 At the Labour Party Scottish Conference held in Oban in October 2010, Iain Gray announced our intention to establish a National Care Service. To assist in that task we agreed to set up an expert panel, led by Sir John Arbuthnott. The expert panel should be called The Expert Group on Future Options for Social Care. 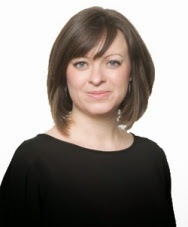 To make recommendations on the establishment of a National Care Service for Scotland; recognising the need to shift the balance of care to community settings; acknowledging the important role of carers and all care providers; ensuring an equally high and fair standard of care across the country, and improving the experience for people requiring care, their families and their carers. 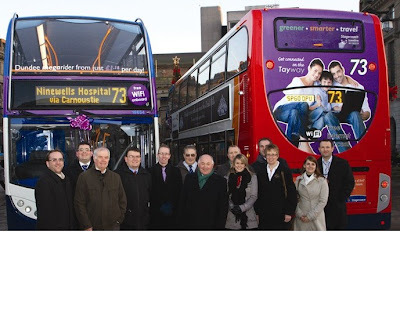 - managing the transition from the existing pattern of service to the new national care service. The Expert Group will be chaired by Sir John Arbuthnott. 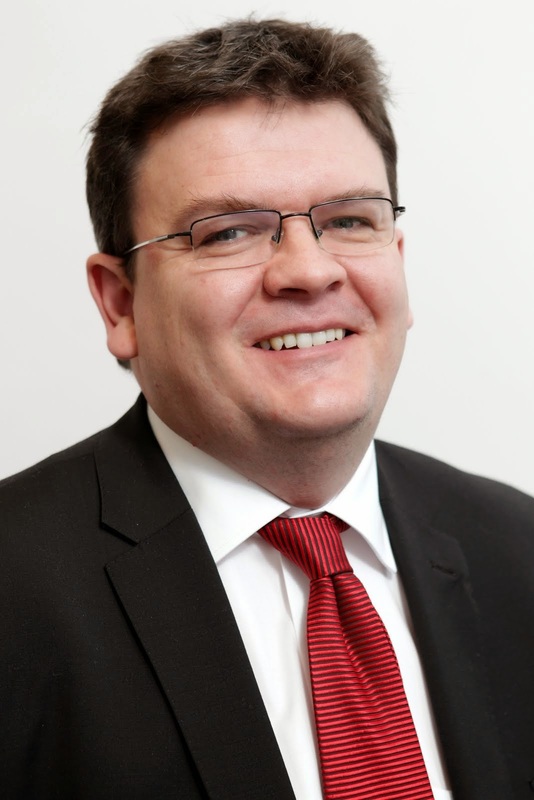 He will be joined by David Manion, Chief Executive of Age Scotland and Councillor Harry McGuigan as announced at Conference. Hugh Clarke – Retired Head of Fieldwork Services, Glasgow City Council Social Work Services. All Group members are serving in an independent expert capacity. It is proposed that the initial output of the Group will be a short paper setting out the principles that would underpin a National Care Service. This would be available at the end of March/beginning of April. In the period leading up to this, there would be 4 ‘listening sessions’ – one in January, two in February and one in March. At least one will be held outside the central belt, probably in Inverness. I was very disappointed to see the result of the tuition fees debate today. I am appalled at the violence which has taken place, I'm not sure that it helps to make the case. It is clear that politicians should not make promises that they will not keep. The Lib Dems could have argued their case. Politics is about choices, yes these are difficult financial times but this was a choice to cut higher education funding in England (and this will have a knock-on effect due to the Barnett formula). “Tonight will be seen as a betrayal of young people throughout the United Kingdom. “The impact of the decision will damage higher education not just in England but in Scotland too and we should not let the LibDems and Tories forget that. “After the countless promises made by Liberal Democrats against fees increases it not just a black day for education but also one for honesty in politics. John Denham who made an excellent speech in the House of Commons has also commented upon the vote tonight. 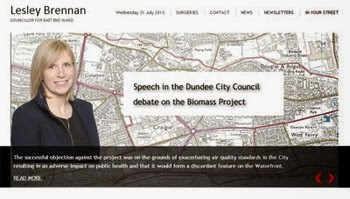 The video here shows a video of Dundee University Rector Brian Cox discussing his views on university funding. I think that his idea of everyone involved in university life joining together to discuss how to fund universities and student support. The City Council's Scrutiny Committee met on Wednesday afternoon. The committee heard a report back on some issues concerning earlier reports about Park Place Nursery School and it was good to hear that the nursery has made progress on all the issues raised in the report. I questioned some of the reports which we receive. It seems to me that some of the external regulatory bodies go out of their way to make negative comments some of which go against their own policies. This morning I had a very good briefing from officers about the ways in which fairtrade can be promoted at the excellent Dundee Flower and Food Festival. I am pleased to say that there will be a greater effort to promote fairtrade at this excellent event. I look forward to seeing the fruits of these efforts, well done to everyone involved. 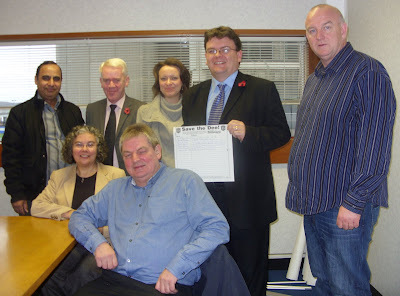 This morning I chaired a meeting of the Dundee Fairtrade Forum. This meeting looked mostly at how Fairtrade Fortnight will be celebrated in Dundee. The focus for this will be on fairtrade textile's. It is important that we treat everyone who provides services for us as we would wish to be treated ourselves. Monday evening saw meetings of the City Council and various committees. The Education Committee saw some interesting reports. There was a report about primary schools getting synthetic grass games areas I welcome this, I also welcome the fact that there is to be some public access to these areas. 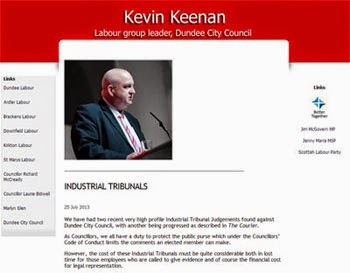 I was disappointed that the Convener of Education told my colleague Kevin Keenan that the all-weather pitch at St Paul's Academy was run by Dundee Leisure. This is not the case and there seems to be a problem with making it accessible to the public - what's the problem? My colleagues in the Labour Group and I are concerned that we are not getting enough information about the future of council services. We moved to defer spending on education department's Music Centre until we had a full report on all property related issues in education and also the full council budget. The report before us tonight was flimsy and did not make the case that the spending was unavoidable. I was pleased that the Chief Executive restated that he has made representations to ensure that HMI(e) and Learning and Teaching Scotland jobs should be retained in Dundee if the merger goes through. At the City Development Committee I was pleased to see a report on future rail services in Scotland. I agree with the report that we need to ensure that the Tay Estuary Rail Study should be treated seriously by Network Rail and the Scottish Government. I am committed to working with anyone to try and bring better rail services to Dundee. I was disappointed that the Administration pushed through plans to increase car parking charges both for off street car parking which is being forced on us by the Con Dem government's increase in VAT. Unfortunately the Administration pushed through on the Convener's casting vote plans to increase on-street parking charges. This was not necessary as there is no VAT on these charges. The Social Work and Health Committee considered a very interesting report on a Charter of Rights for People with Dementia. This comes from the Cross-Party Group in the Scottish Parliament on Alzheimer's which is chaired by my colleague Irene Oldfather MSP. There was an excellent report from the Care Commission on the Out and About Support Service. I am clear that this report should have been sent to Scrutiny Committee rather than the Social Work and Health Committee. I was also disappointed that proposals were made to change the Elms Close Support unit. Again I think that any changes to this needed to consider the whole picture of where the council is going I do not feel that was available to the committee this evening. Prior to the start of business at the City Council meetings this evening the City Council's Chief Executive made a statement about the ongoing weather situation. He rightly paid tribute to the public sector workers who have worked hard over the past week to try to deal with the severe weather conditions. The City Council's website has the latest information from the council about the weather. The council's policy was outlined and there was some discussion about the problems which have occurred. The main concern was what is being done to ensure that the elderly and sheltered housing areas are given some priority. As ever, if you have any particular concerns about the council's reaction to the poor weather please get in touch with me. I am very sorry to hear that Bishop Vincent Logan has tendered his resignation as Bishop of Dunkeld. He has done a great deal of good work not just for the Catholic community in Dundee and throughout Scotland. I first met Bishop Logan when I was an undergraduate student, he was also a great help to me when I was researching for my PhD and made a number of church resources and historic records available to me. He was always very interested in my historical research into nineteenth-century Dundee. When I was National Secretary of the Bishops' Conference of Scotland's Justice and Peace Commission Bishop Vincent was always very supportive. He has always had a strong vision of the importance of promoting justice and peace. Bishop Vincent has served the Catholic Church well in his role and he has also played a wider role than that in the life of the city of Dundee and the wider area of Dunkeld Diocese and right across Scotland. I hope that Bishop Vincent's health improves and that he has a long and happy retirement. I was also sad to hear of the untimely death of the former Bishop of Brechin John Mantle, he had served his diocese well and also the wider community in Tayside. I have expressed my concerns about the spate of vandalism to cars in the West End in the early hours of Saturday morning. I have spoken to Tayside Police about the situation. 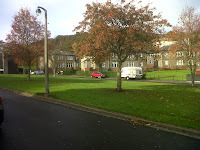 I am appalled to hear about the spate of vandalism to cars in Windsor Street and Place and in Magdalen Yard Road, it is galling to hear of other incidents of such vandalism across Dundee. I hope that the culprits are caught and punished appropriately. 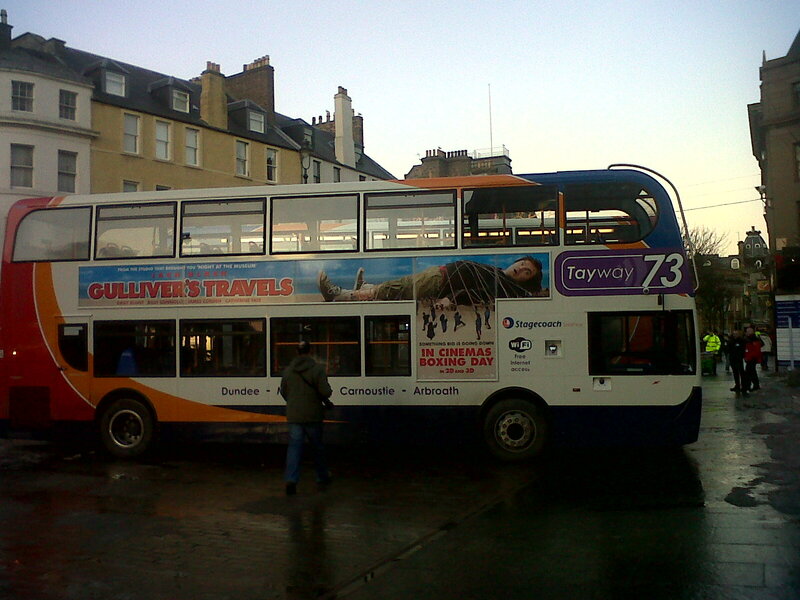 I will be speaking to Tayside Police to find out what actions they are taking. Nobody wants to have to pay for repairs to vandalism at any time of the year but this is a particularly bad time for people to have extra expense. I hope that anyone who has information about vandalism takes appropriate action and contact the police. If you weren't already feeling cold I have to say that this stunning image from NEODAAS/University of Dundee will probably make you feel cold. You can find out more about the image by clicking here. I would like to pay tribute to all the hard-working public servants who have been working so hard to ensure that services are available to the people of Dundee. If you have any concerns about the ongoing weather check the City Council's website. If I can be of any assistance please get in touch. This morning I attended a meeting of the City Council's Licensing Committee I am an alternate member of the committee. I was pleased to help out colleagues who were unable to make it into the city centre today. This committee is important and looks at important issues such as Housing in Multiple Occupation and taxi driver licences. As all City Council facilities are closed today I am afraid that my surgeries at Lime Street, Mitchell Street and Blackness Library are cancelled. You can still contact me by email richard@richardmccready.org.uk or richard.mccready@dundeecity.gov.uk or phone me on 641241 or 434475. Today is World AIDS Day. I think that the international community must keep working towards effectively dealing with HIV/AIDS. The UN has made a number of statements about the issue. I support Christian Aid's campaigns to put pressure on government's across the world to maintain their investment in the campaign against HIV/AIDS. Ha ppy St Andrew's Day! I would like to wish everyone a very happy St Andrew's Day. The picture here is the stained glass window of St Andrew from St Andrew's Cathedral in the Nethergate. It is a great day to celebrate our patron saint and think about the future of our country. I think that it is a shame Scotland does not celebrate our patron saint as much as some other countries. Labour's leaders Ed Miliband and Iain Gray have issued a joint St Andrew's Day message. The UK Government has today published its proposals to implement the Calman proposals. These are to be largely welcomed by everyone with Scotland's best interests at heart. I will be keeping a close eye on the progress of this legislation. This evening I attended a meeting of the Dundee Rep board. The Rep is an excellent resource for the people of Dundee and does a great job in promoting the city throughout Scotland and beyond. These are challenging times for the public sector and for arts funding but I am clear that Dundee Rep does a great job and should continue to be supported even in these difficult times. There was a very interesting report on the work of Creative Learning at the Rep on the recent Youth Weekend, you can see a brief video about the weekend here. 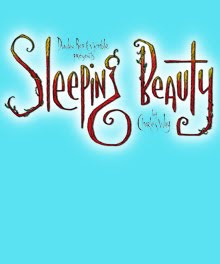 The Christmas show at the Rep this year is Sleeping Beauty as ever I am sure that it will be well worth getting a ticket for, click in the picture for details. Today I expressed my disappointment at an outbreak of graffiti on the Perth Road (on Greggs and the Red Cross Shop amongst others) over the weekend. I have called for action from the police and council but also stressed that everyone has a role to play in combating graffiti. I have contacted the police about the outbreak of graffiti mainly at shops on the Perth Road. It is really disappointing that this has happened. There should be zero tolerance of graffiti. I hope that the police can identify the culprits and take appropriate action. I have also contacted the City Council seeking to get action taken against the graffiti. We all have a job to do against vandalism. We should not tolerate it, we should report any suspicions to the police. The City Council's Waste Management team have said that they will attempt to deal with this graffiti soon. This afternoon I attended the latest meeting of the West End School Project Board. Well done to the parent representatives who struggled through the snow to get to the meeting. Progress is beginning to be made. I hope that the pupils, staff and parents of the schools start to see the building and whole project taking shape soon. On Saturday I was happy to attend the Christmas Fayre at Morven Terrace Sheltered Housing Complex. It was good to see so many local residents there even though the weather was not great. There was some excellent home-baking on sale. It was also good to hear the concerns of local residents about a variety of issues. 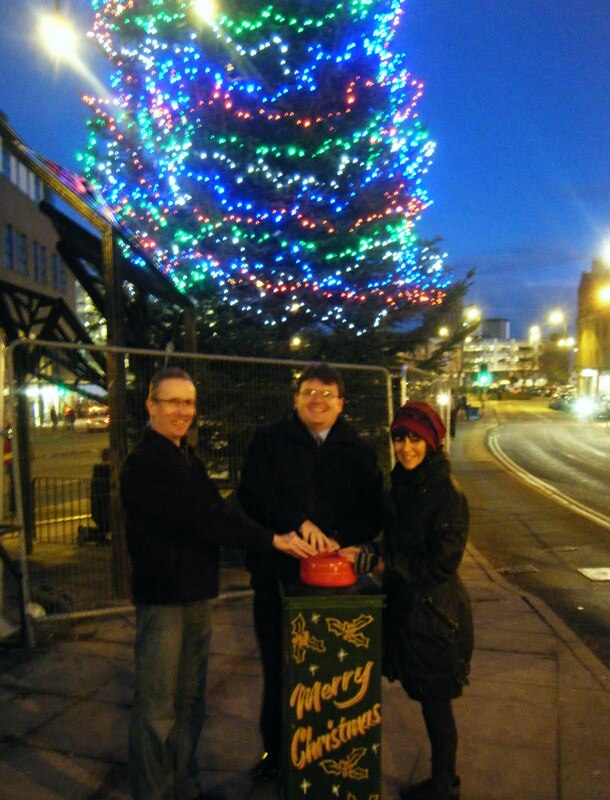 Along with my ward colleague Fraser Macpherson I was pleased to help turn on the Christmas Lights at the Westport. Fraser and I were joined by Sheena Livingstone of the Westport Gallery to switch the lights on. The Westport is an excellent area to shop. In the run up to Christmas I am sure that many people will be visiting this area. I think that the Christmas Tree adds to the shopping experience in the area. 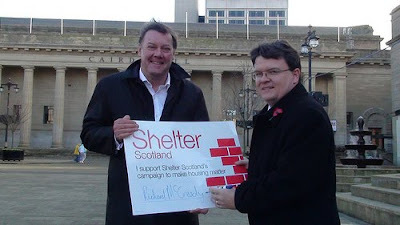 I was pleased to support Shelter Scotland's campaign to Make Housing Matter. The video here shows Shelter delivering the postcard which I was pleased to sign. Providing adequate, good quality housing is important and needs to be supported by the Scottish Government. It appears that the housing budget is being hit harder than some others. 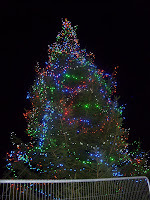 Last Wednesday saw the Christmas Concert in Dundee West Church followed by the Christmas Lights switch-on at Seabraes. The talent in the schools of the West End Blackness Primary, Park Place Primary, St Joseph's Primary, Ancrum Road Primary and Harris Academy on display was as ever excellent. Well done to all the pupils concerned, they are a credit to themselves, their schools, their teachers and their families. The Christmas Tree at Seabraes looks great. There was also a really good fireworks display and carnival at the art college. 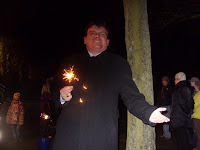 I helped to distribute sparklers to children after the fireworks display. Well done to everyone involved in West End Christmas week. On Wednesday I attended a conference in Dundee on child protection, the conference was entitled Getting it Right for our Children. As a councillor I think that one of the most important responsibilities I have is a corporate parent. We need to take these responsibilities seriously and make sure that we collectively try our best for children who are in the care of the council. The conference was very interesting and amongst the most interesting was the contribution by Dr Harry Burns. If you have any concerns about any child in Dundee please contact the Child Protection line on 307999 or visit the website. I was at the meeting of the Education, City Development and Social Work and Health Committees this evening. Prior to the start of the committee meetings tribute was paid to Brian Allison who is retiring this week as the Local Government editor DC Thomson. I have known Brian for a number of years and have always found him to be good to work with, he will be missed from the corridors in the City Chambers and Tayside House. I wish Brian all the very best for his retirement. The Education Committee had a long debate about the proposals to relocate Eastern Primary adjacent to Grove Academy I was pleased that the Administration eventually gave into the concerns of local Ferry councillors such as my colleague Laurie Bidwell and Bailies Scott and Wallace. Road safety is obviously very important and we should be very concerned about it. I was happy to support progress on Harris Academy's refurbishment. The City Development Committee agreed to look at design and engineering for a new station concourse at Dundee Railway Station. The Social Work and Health Committee looked at the important issue of children in residential care. It also looked at reports on the quality of private and voluntary sector care homes. The quality of these is important, we should be giving the best to the elderly and to vulnerable adults. Today I have welcomed progress towards the refurbishment of Harris Academy. I've been frustrated at the slow pace of progress on this important project. I welcome the fact that the City Council's Education Committee will be discussing the issue of forming a project board for the refurbishment of Harris Academy at its meeting tonight. Progress is required on this important project. It is a shame that it has taken so long for progress to happen. This is largely due to the Scottish Government insisting on using the Scottish Futures Trust as the funding model. This model has yet to lay a single brick. Now the model has been changed into what trade unions describe as 'PFI in all but name' we might see progress. I am disappointed for the staff, pupils and parents associated with Harris Academy that progress has not been made before now, I am also disappointed for those in the construction industry that progress has not been made before now. The Labour Group is prepared to work with the Administration to bring forward these plans sooner than is currently envisaged. On Sunday evening I was happy to accept the invitation from Dundee Evangelical Christian Alliance to attend a service which took place at St Peter's Free Church in the West End. It was a very interesting service and it was good to meet a number of local people at the church. I was pleased to hear that so many of the people present kept local politicians in their thoughts. I was very pleased to receive such a warm welcome from everyone present. 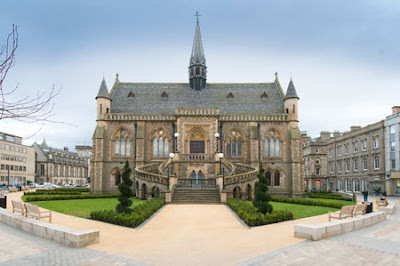 This morning along with council colleagues from Dundee, Perth & Kinross and Angus, parliamentarians and staff and students of the Abertay and Dundee universities and other representatives of civic and academic life I attended the Mass for the Feast of Christ the King at St Andrew's Cathedral in the Nethergate. This is always a very interesting service. The music was fabulous, well done to everyone involved. I was pleased to see that Bishop Vincent Logan was able to be present this year, he was absent last year, and to preach. The Diocese of Dunkeld thanks everyone involved in civic and academic life at this event and it is much appreciated. 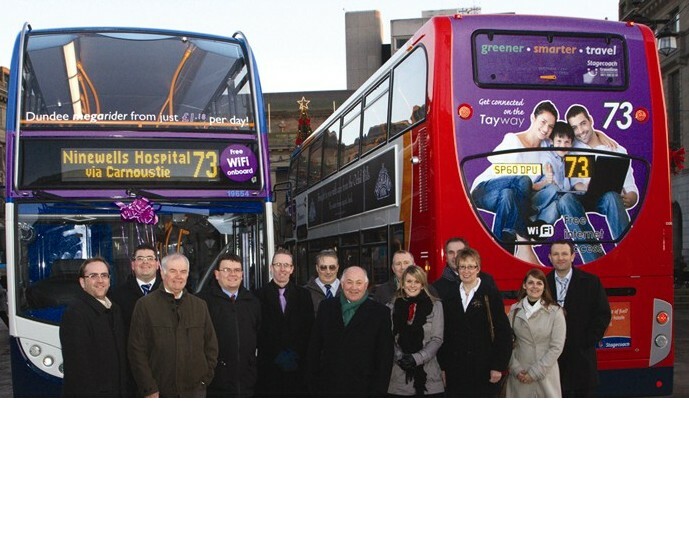 On Saturday morning I attended the launch of the West End Christmas Week. I was pleased to meet Santa at Seabraes, it was a shame that the weather was poor. There was a well-attended community fayre in the downstairs hall of Dundee West Church. I was also pleased to make a brief visit to the coffee morning at Dundee West Church. 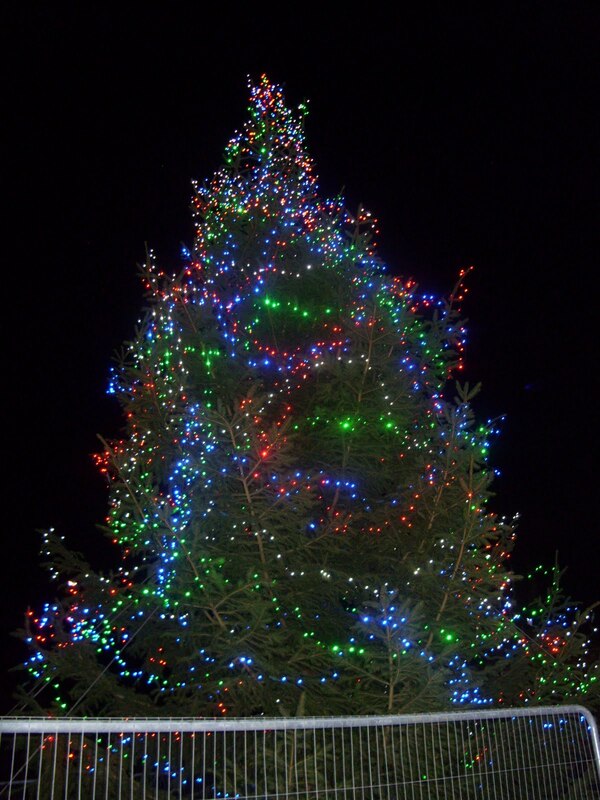 The Christmas lights switch on in the West End is on Wednesday evening 24th November with the concert at 6pm in Dundee West Church and the lights switch on and fireworks at 7pm at Seabraes. Today I was at the Scottish Co-operative Party's Campaign Convention in Stirling. It was good to meet up with fellow members of the Co-operative Party. The Scottish Co-operative Party has produced an excellent manifesto for the Scottish Parliament. The policies set out in this document are about putting people first. I am proud to be a Labour and Co-operative Candidate for the Scottish Parliament election and I hope to get the chance to put forward policies which will bring about more co-ops and mutuals in Scotland. The McManus: Dundee's Art Gallery and Museum received a special mention for its refurbishment at the Doolan Prize awards on Friday evening. It is a shame that the McManus did not win the overall prize but I think that this is a commendable result. Well done to the architect Paige/Park and all the staff of the council who were involved in this project. 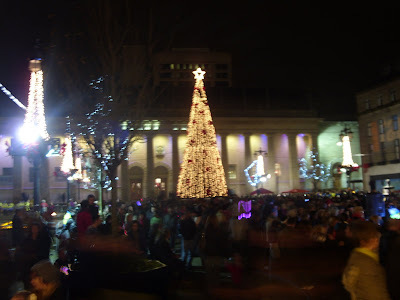 I was pleased to be at the Christmas Light switch-on in the City Centre tonight. It was a very enjoyable event. I am glad that the event this year clearly referred to Christmas as it was a nonsense last year to try to make out that the event had nothing to do with Christmas. Well-done to the Dundee churches who put on a Nativity play. I do think that Christmas celebrations start too early these days but I did think that the City Square was looking good tonight. I was very pleased to attend the award ceremony of the Dundee Institute of Architects which was held in the Invercarse Hotel on Thursday evening. I am very pleased that the McManus won several awards from the Dundee Institute of Architects. It is excellent that the hard work and commitment of the council's staff and contractors has been recognised. The McManus won awards in best public building award, best interior design, best regeneration/conservation award and also won the supreme award. Winning these awards is important and shows that the investment in McManus was worthwhile. It was worthwhile because the people of Dundee and beyond are also voting with their feet and the visitor numbers are spectacular. Dundee deserves the very best and I think in the McManus between design and construction and museum staff the council has come close to delivering the very best. The current exhibition in the Victoria Gallery of prints and watercolours from the Orchar Collection is well worth a visit. I would also like to wish the McManus well in the Doolan Prize which is awarded tonight. The other prize winners at the Dundee Institute of Architects awards demonstrate the talent and expertise in our area and reflect well on Dundee and its surrounding area. A fair number of the winning designs were in the West End. I have contacted the Scottish Football Association to urge them to stage either full internationals or age-related international matches in Dundee. This was after Scotland had played the Faroe Islands at Pittodrie Stadium in Aberdeen in an friendly international match on Tuesday evening. 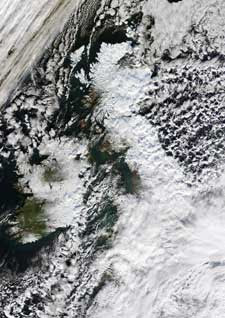 I am pleased that Scotland won Tuesday's match, it was also good that the match was played in Aberdeen. Hampden Park is the spiritual home of Scottish football and I think that big matches should be played at Hampden, however I also think that internationals should sometimes be played outside Glasgow not least of which in Dundee. I have written to the Chief Executive of the Scottish Football Association, Stewart Regan, asking that the SFA consider hosting international matches in Dundee. Hosting matches in Dundee would bring attention to the city and bring visitors to the city and this would have an economic benefit. This could also benefit Dundee's clubs who could receive a fee for the use of the ground. International matches have been played in Aberdeen, Edinburgh and Kilmarnock in recent years I think that Scotland fans in Dundee and surrounding area should get the chance to watch the national team close to home. I was delighted to see that the traffic lights at the junction of City Road and Tullideph Road are now up and running. I have been approached by many constituents who were very concerned about the works which were going on and pedestrian safety at this junction. I will be keeping an eye on this junction and I hope that the new traffic lights make the junction safer. Monday evening saw a very brief meeting of the Development Management Committee. This was very brief and in part this is because there are more delegated powers under new legislation. It was also brief because there is a paucity of applications, this is bad for the local economy. We should be looking for ways to promote development in a sustainable manner. This morning I attended a meeting of the Tayside Fire and Rescue Board in Perth. This was a very interesting meeting which also highlighted some of the forthcoming issues which face us. I asked a number of questions. On Expenditure Monitoring I asked for more details of the underspend reported on staff costs. I was told that there was an element of slippage which is a result of non-filling of vacancies as a result of the Fire Board not knowing the budget settlement yet. The Quarterly Activity Report is well worth looking at as it outlines much of the work of Tayside Fire and Rescue. My colleague Bailie Helen Wright asked a very important question about how we deal with hoax and malicious calls. I am clear that we must do everything we can to deal with this issue. It puts firefighters and the general public at risk, if firefighters are dealing with hoaxes they cannot deal with real fires. The Deputy Chief Fire Officer gave a very interesting presentation on Home Fire Safety Visits. Please contact Tayside Fire and Rescue if you would like a Home Fire Safety Visit. There was a report on Collaborative Working Between Tayside Police and Tayside Fire and Rescue this is a crucial report to the future of the service. I support partnership working and Tayside Fire and Rescue is involved in many innovative partnerships which are to be commended. I asked whether it was wise to go down this road given the apparent national uncertainty about the organisation of fire and rescue and indeed police services. I also asked about how the workers and trade unions will be involved bringing forward these proposals. I was told that in terms of the organisation and lack of budget information it is important to move forward. I was told that the trade unions will be involved in bringing forward these proposals. I will be keeping a close eye on these proposals as they are brought forward. We also agreed the consultation process for the Towards a Safer Tayside 2011/12, I urge anyone with an interest in these services to look out for this report and respond. I was also reassured by the Chief Fire Officer's statement that the Aerial Rescue Pump we are ordering, unlike ones purchased elsewhere such as Lothian and Borders and Central it is fit for purpose. I am very concerned at suggestions that jobs in HMRC in Dundee are under threat due to changes made by the Con/Lib Dem Government in welfare benefits. Newspaper reports have suggested up to 700 jobs are under threat. Dundee should have its fair share of government jobs and I would not want any jobs to be lost. I will be contacting the PCS trade union to discuss the matter with them. I will also be contacting the Department of Work and Pensions to find out their plans for these jobs in Dundee. I will ask the City Council's Chief Executive about what the council plans to do about these civil service jobs. Attracting jobs to Dundee and keeping jobs in Dundee is my priority. As a West End Councillor and Labour spokesperson for Leisure, Arts and Communities on the City Council I have sought answers over the future of the Mills Observatory. I am a long-term supporter of the observatory and I believe that it should be maintained. I will contacting both the Council's Chief Executive and the Director of Leisure and Communities to seek reassurance over the future of the Mills Observatory. The Observatory is unique in being built to promote public understanding of science. I know from personal experience how much it is loved by children and young people. I want to ensure that its future is protected. 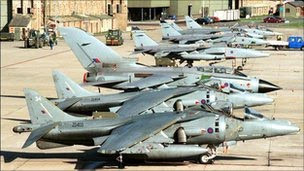 I understand that these are difficult economic times but I do not think that this is an excuse to downgrade the Mills. I am open to discussions about how the observatory is managed but the bottom line is that it must remain in public ownership and remain free to the public. I am appalled that as the local councillor and opposition spokesperson for Leisure, Arts and Communities I have to read about the council's plans in the newspapers. This demonstrates how poorly thought out the Administration and the officers secret meeting programme is. The council should be up front with the changes it proposes and allow the people of Dundee to know what it is planning to do. The City Council's values state that we will 'Inform, consult and involve users of council services about what the Council is doing and how it is performing.' It also states that we will 'Efficiently utilise our resources to provide the standards of public service expected by citizens and at an acceptable cost.' I do not think that the council is doing either of these at the moment. The Mills is an excellent resource for the city, it is great place to visit; it promotes interest in science helping in education, I am keen that it remains that way for many years to come. This morning I attended the brief remembrance service at St Joseph's Church in Wilkie's Lane. As local residents will know there is a memorial to the parishioners of St Joseph's who were killed in the First World War on the outside of the church. I always find it quite poignant to look at the names on that memorial and think that all those young men lived and worked in the West End. The service also highlighted the need to work for peace and for justice in order to try to prevent more wars. I am pleased that Nobel Laureate and Freeman of the City of Dundee Aung San Suu Kyi has been released in Burma. There are still over 2000 political prisoners in Burma and they should be released. Releasing Aung San Suu Kyi does not hide the fact that the recent elections in Burma were a sham. The international community should continue to put pressure on the Burmese generals to enter into a genuine dialogue with Aung San Suu Kyi and various ethnic groups to deliver a genuine and long lasting settlement in Burma. I support the work of the Burma Campaign UK. I am really pleased that Dundee has given the Freedom of the City of Dundee to Aung San Suu Kyi. The Council called for her release and it is good that she has been released but this is not the end of the issue. 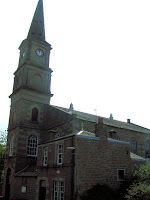 I was delighted to attend the coffee morning organised by the Guild at Logie & St John's (Cross) Church this morning. This was well attended notwithstanding the weather. It was also a good opportunity for me to meet many local people. Well done to all those involved in organising this event. 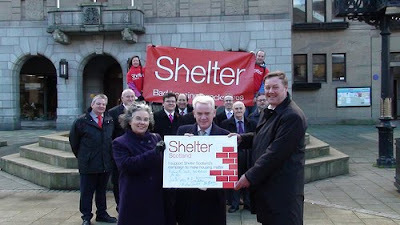 I was pleased to join Marlyn Glen and Jim McGovern, Labour councillors in supporting Shelter Scotland's campaign to 'Make Housing Matter.' This campaign calls for the Scottish Government to ensure that housing is given prominence in the budget announced next week. It was good to see that the Convener of Housing, the SNP's Jimmy Black also supported this campaign. I will be keeping a close eye on housing issues. The Scottish Government will make its budget announcement next week, whilst at Westminster the ConDem Government are making changes to housing and other benefits. The impact of all these changes needs to be examined in detail. I have called for the funding of the refurbishment of Harris Academy to be speeded up. The Cabinet Secretary for Finance, John Swinney has let it be known that he intends to move spending into capital projects in his Budget which is to be announced next week. I have written to Mr Swinney and to the Chief Executive of Dundee City Council asking that they consider accelerating the work to get a refurbished Harris Academy. I will leave the rights and wrongs of leaking budget details to others and I will also not linger too long on the fact that the Scottish Government has previously scrapped major capital spending projects but if there is a chance that a refurbished Harris Academy can be delivered sooner then I want that to happen. I know that parents, pupils and staff were disappointed when the refurbishment was put back two years. If Mr Swinney wants to spend on capital projects then I would strongly make the case that Harris Academy should be one of the projects considered. I think that the refurbishment of Harris Academy would be good for the Dundee economy and bring much needed work to the construction industry in Dundee. Importantly it would also deliver a learning and teaching environment fit for the twenty-first century for the pupils and staff at Harris Academy. I was elected Convener of the Dundee Fairtrade Forum today. I am pleased that the members have put their trust in me. I would like to pay tribute to Ann Gammack who has been the driving force behind fairtrade in Dundee for a number of years. Ann will be an extremely hard act to follow. The meeting also discussed plans for Fairtrade Fortnight which takes in late February and early March. 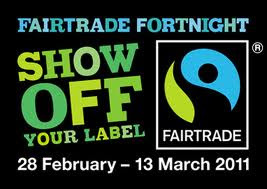 The theme of the fortnight will be 'show off your label' and will focus on fairtrade clothing. As today was Armistice Day I joined councillors, council staff, veterans, local clergy and the people of Dundee in observing the two-minutes silence. It is important to mark the service of those who fought and died for their country. It is important that we work for peace and justice but we should remember those who have fought. This is a very impressive ceremony as the people of Dundee join in and make their own tribute. I was very pleased to meet with Jim Sweeney, the Chief Executive of Youthlink Scotland. This was a very useful meeting. It was good to hear about the work of Youthlink Scotland and about their concerns for the future of youth work. These are difficult financial times and cuts are clearly coming from the Administration in Dundee. I will be keeping a close eye on proposals in Dundee. Cuts to youth work might seem to be attractive but we need to be clear that these services often offer excellent value for money. Youth work when successful can often save the public sector money in the long run, saving money from statutory services. I will be continuing to keep an eye on this important area of work. When the Scottish Government announced that it planned to merge Learning and Teaching Scotland with Her Majesty's Inspectorate of Education I expressed the hope that at the very least jobs already based in Dundee stay in Dundee. I am pleased that Dundee City Council is to lobby for jobs associated with Learning and teaching and Scotland and Her Majesty's Inspectorate of Education to remain in Dundee after the proposed merger of these organisations in July next year. I am pleased that the Chief Executive of the City Council will be making representations to the Scottish Government to make the case to retain these jobs in Dundee. Dundee does not have its fair share of Scottish Government jobs I would be hugely disappointed if the city lost some of those which are already here. Dundee is a main centre for Learning and teaching Scotland, if this merger goes ahead I want to see a main centre for the new body in Dundee. In the current economic climate promoting jobs must be the top priority. 'Thank you for your e-mail. I plan to write to the Scottish Government next week asking that the amalgamated new body continue to have their main offices in Dundee. Tonight I attended the latest meeting of the West End Community Council. There was some discussion about planning issues in the West End which as a councillor I was unable to take part in. There was a discussion about the future of the community council. There will be elections for the new West End Community Council in the near future. I would like to thank those who have served the people of the West End on the Community Council over the last few years. I would also urge people in the West End to consider putting themselves forward to be members of the Community Council. I was convinced by my colleague, North-East Scotland Scottish Parliament Labour candidate, Jenny Marra to donate blood today. I had not done this before. I am pleased to say that the process in the Marryat Hall was very simple and not too uncomfortable. I met a lot of very nice people who were also giving blood as well as some wonderful staff. You can read about the work of the Scottish National Blood Transfusion Service on their website. The latest meeting of the City Council and its committees took place on Monday evening. The Leisure, Arts and Communities Committee contained a number of interesting reports. I was particularly interested in the report on repairing headstones. I understand why many headstones have warning markers affixed to them but it is clear that in many cases the ownership is unknown or so distant that nothing will come of it. Headstones are an important record of the history of the city, we should do all we can to preserve these historic records. The Policy and Resources Committee considered a report about bringing the plans for a new Olympia to fruition. This is the Administration delivering a Labour manifesto commitment. I welcome this progress on this building. It will be good deliver a modern facility for the people of Dundee. I also hope that this facility will attract people into the city from further afield and that families will visit Dundee to see exhibitions at the V & A and then go for a swim in the New Olympia. I had a couple of questions have we done everything in our power to ensure that Dundee workers and Dundee businesses are used. This will be a major boost for the construction industry I hope that boost is felt in the Dundee economy. Also have we allowed enough in the budget to deal with all possible contingencies. Also in Policy and Resources Committee, I was pleased to support my colleague Laurie Bidwell in his motion against changes, which are in effect a cut in Working Families Tax Credit. In George Osborne's Budget in June and his comprehensive Spending Review in October there were a cluster of changes announced in the qualifying conditions to Tax Credits. Tax Credits are paid by the government through the payroll, to workers on low incomes. Changes to the regulations look likely to disqualify some existing staff members from their current entitlement to tax credits. That is why Labour Councillors Laurie Bidwell and Richard McCready have placed this on the agenda of the City Council's Policy and Resources Committee on Monday evening. They will be bringing forward a motion to get the Council to assess the position of staff who may be affected in these changes. "A significant number of Council staff job share or undertake part time work. Taken together, all these changes to Tax Credits may make a significant difference to many of our staff; especially if they lose entitlement to Tax Credits and through this help towards child care costs. While some of these changes are more than a year ahead, it is not too soon for the Council to investigate the likely impact of these changes on its own staff and assess what might be done to help staff retain their entitlement to Tax Credits. I think this is the least that the Council can do as a major and responsible employer. Maximising the income of staff from wages and benefits is not only good for our staff and their families but also good for the economy of the city." 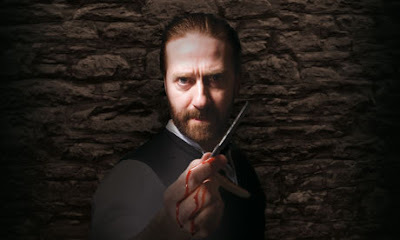 I would like to offer my congratulations to Dundee Rep for winning an award for best musical for Sweeney Todd at the Theatrical Management Association awards. I am a member of the board of the the Rep and I have to say that I think that the staff do a great job. I think that sometimes we do not recognise just how lucky we are to have the Rep on our doorstep. It is gratifying when their efforts are recognised by their peers. Well done to everyone concerned with this production. On Saturday along with other councillors, officers of the council, veterans' groups and members of the public I took part in the ceremony of Laying of the Crosses. This is where the garden of remembrance outside the City Churches is inaugurated. I think that it is important that we remember those who have fought on our behalf in the past, those who have given their lives and those who still suffer. I thought of my great uncles who took part in the Second World War. My uncle David who was killed in an accident whilst in the army, and my uncle Jack who sailed in the Artic Convoys, and my uncle Bertie who was in the Eighth Army in the desert. I also thought about my grandads one of whom was in the National Fire Service throughout the war, the other who built tanks but also worked as an ARP warden. I also thought about my great-aunt Catherine who worked with the British Government in Germany after the war. It is important to consider how the people of our time have not had to deal with the turbulent times which those who lived through the Second World War had to. We must all work for peace, to promote reconciliation and prevent wars. We should also remember those who have suffered in wars. For information on Poppyscotland visit their website. I enjoyed the bonfire night fireworks display from Lochee Park. 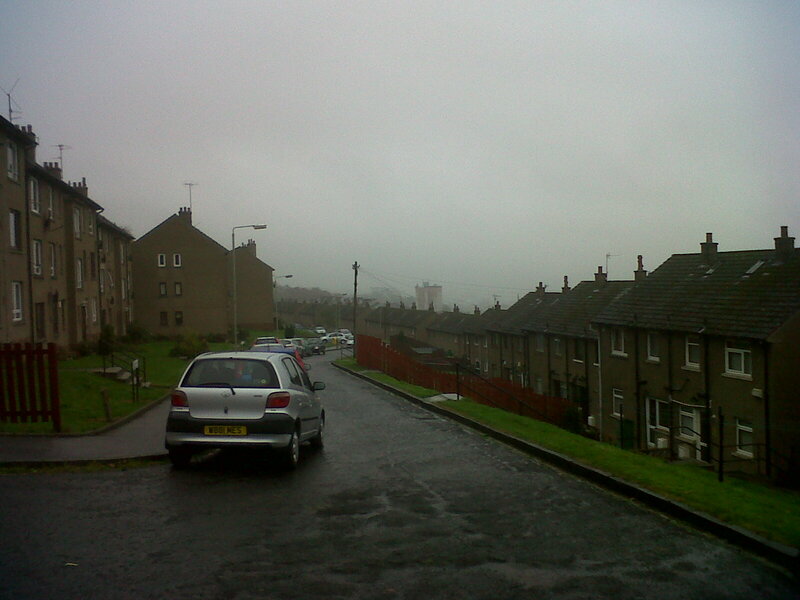 I watched from the other side of Balgay hill. 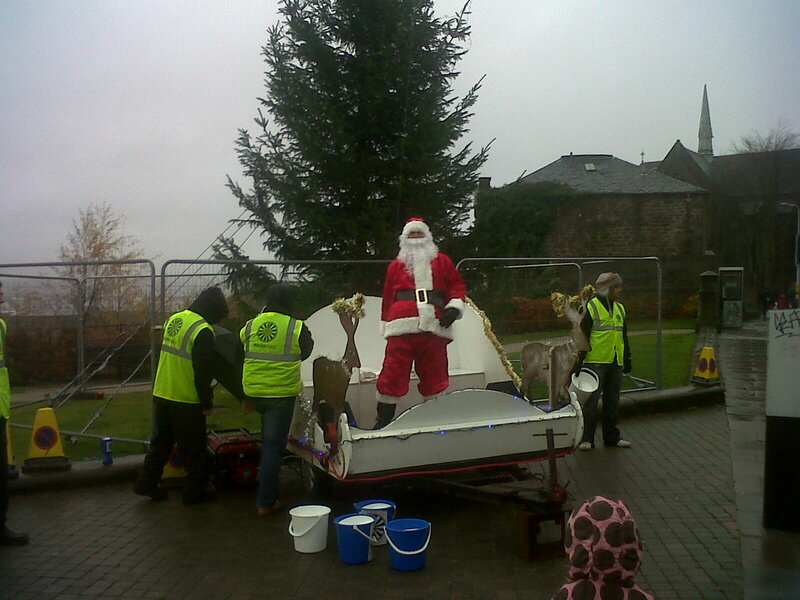 This is one of those things that Dundee City Council does well. This is a safe, community event, along with the display at Baxter Park is enjoyed by thousands in the park and watching from various vantage points throughout the city. On Friday afternoon I attended the opening of Alzheimer Scotland's new Dementia Resource Centre in Dundee. Dementia is a condition which effects many people and has a great impact on their families. The new centre looks like a great resource for dementia sufferers and their families. I spoke to a few families at the opening and it is clear that the new centre will be a great benefit for them. Well done to all the Dundee companies, trusts and people who contributed to the funds which allowed the centre to go ahead. Along with a number of other councillors, council officers and tenants I attended a briefing last week held by Shelter Scotland. This briefing highlighted many of the issues facing housing and housing providers in Dundee. It is important that the City Council takes it responsibility seriously to deal with homelessness and provide good quality housing for council tenants. It was interesting to hear Shelter Scotland views on the issues which face us. I think that Shelter is a good organisation which does a great deal of good. Labour in Dundee has backed the Evening Telegraph's Save the Dee! petition. 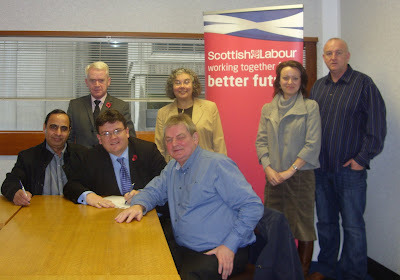 The petition has been signed by Dundee West MP Jim McGovern, Dundee-based MSP Marlyn Glen, Labour Group Leader Councillor Kevin Keenan, Councillor Brian Gordon -a life-long Dundee fan, local Coldside Councillor Mohammed Asif, Labour list candidate Jenny Marra and by myself as Labour's sports spokesperson in Dundee and Dundee City West parliamentary candidate. We are happy to support the Evening Telegraph's petition. Dundee FC is a Scottish institution never-mind a Dundee institution. It is important for the city that everything is done to ensure that the club keeps going. The punishment given out by the Scottish Football League punishes the Dundee supporters, it does nothing to those who caused the problems. It wasn't the fans who didn't pay the bills. I would like to see the fans owning the club. The Scottish Football League is a membership organisation perhaps they should look to themselves a little more as they allowed the problems at Dundee to come about. Marlyn Glen and Jim McGovern have raised in the issue of Dundee FC's treatment in their respective parliaments. I am not a supporter of Dundee FC but it is important that everyone in Dundee gets behind the club in order to save this Dundee institution. I think that Dundee's plight has demonstrated that the benefactor model of football club ownership is past its sell-by date. You can sign the Save the Dee! petition here. I am a great supporter of Dundee's libraries. The Central Library is the most popular in Scotland. Thursday's Evening Telegraph pointed out that £15,800 out of £20,032 library fines were paid last year. I am clear that people who use Dundee's libraries should act responsibly and return the books they borrow on time or pay the fine. However, I am clear that the fine for late library books is a deterrent and I don't think that there is a need for a bigger stick. On Thursday along with other councillors, council officers and local residents I took part in an estate walkabout in the Pentland area. As in the other estate walkabouts the idea was to look at work which needs done in the area. There were a few issues about pavements and roads. The biggest issue was the ongoing one of the embankments not being maintained. I have been told a couple of different reasons for this, one is health and safety and the other is cost. I want the council to solve this problem. On Wednesday evening I attended a meeting of the Community Spirit Action Group. This group covers the north of the West End ward. This was a very good meeting where local people raised thier concerns. There were concerns raised about bogus workmen operating in the area, the message is clear if you are unsure of someone don't deal with them. There are some useful telephone numbers here. 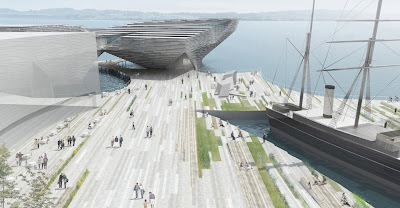 The winning design for the V & A at Dundee was announced today. The winner is Kengo Kuma. There are a couple of pictures here of the design. I think that this is an exciting design and I am looking forward to the project going forward from here. I particularly like the fact that this design gives prominence to RRS Discovery. It is important that the City Council and the other partners now work hard to secure the funding for this important project. I have said it before but it is worth saying again, V & A at Dundee is crucial to the future of our city. 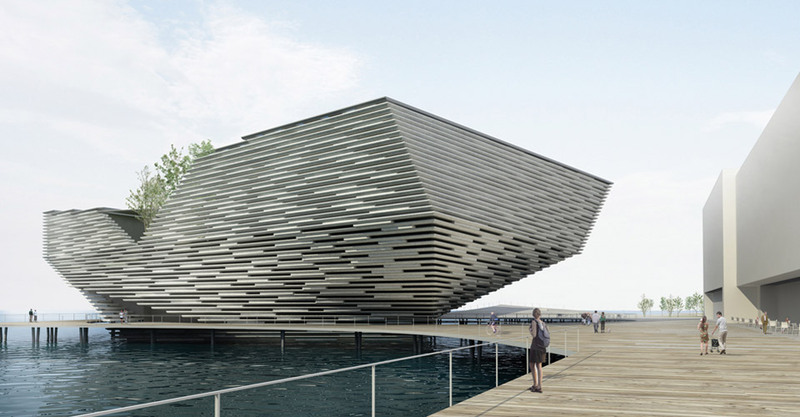 V & A at Dundee will put Dundee on the map as a major centre for design and for culture. It will prvide jobs for the city and will be a boost to the image of the city. “All the designs offered something truly unique, but I am particularly delighted that Kengo Kuma’s stunning vision for the V&A Museum has been chosen as the winner. “This venture promises to transform the Dundee waterfront and I am confident it will become a mecca for the Arts sector in Scotland. “I have made my support for this project clear and I will continue to argue strongly for government support for the V&A Museum. I am committed to being a champion for the V & A at Dundee and playing my part in delivering this important project for our city. 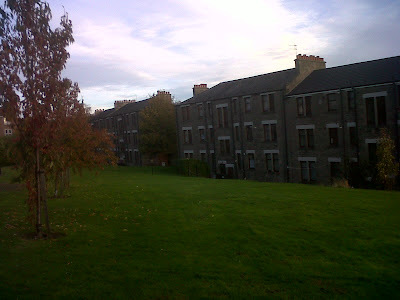 On Wednesday morning there was an estate walkabout in the Blackness Area, this covers Corso St, Abbotsford St and Place as well as Peddie Street and Blackness Road. There was a good turnout of councillors and council officials and a number of members of the Blackness Area Residents Association. There were a number of issues raised such as wheelie bins being left out and car parking. As ever if any local residents in this area or elsewhere have any issues which they would like to raise with me, then they should get in touch. On Tuesday evening I attended a meeting to discuss proposals for a community sports hub in the West End. These proposals are based around Magdalen Green and Riverside. The idea would be to include a variety of sports plus arts and community groups. This would go some way to refurbishing the pavilion at Riverside which is currently in a very poor state of repair. The Sports Hub would allow many sports clubs to come together to and work out how they can work together, it would also provide better facilities. This policy has been implemented in Scandanavia and this has led to many more people taking part in sport in these areas. The meeting tonight agreed to look at ways of bringing this policy forward in the West End. This morning I joined a number of council officers in a walkabout in the Logie Estate. The idea behind this walkabout is that we note any issues which need to be dealt with and that action is taken. If any residents have any concerns about their local area then please get in touch with me. I have surgeries in the Logie Estate on the first and third Wednesday of the month at 3.30 pm in the Lime Street Sheltered Housing Complex or contact me at home or at the City Council. Dropped into the Corso Street Sheltered Housing Complex this afternoon. 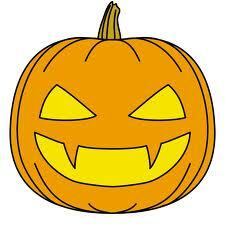 The Hallowe'en party was in full swing, the residents were having a great time. Scariest moment may have been when they got their councillor to sing for them. I really will have to practice! 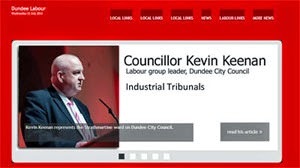 As the Labour Candidate for Dundee City West at the Scottish Parliament election and Labour spokesperson for Leisure, Arts and Communities on Dundee City Council I am delighted at the commitment of the Scottish Labour Party Conference to supporting the V & A at Dundee. I addressed the Labour conference in Oban on Sunday and gave my own commitment to work to ensure that the V & A project comes to fruition. 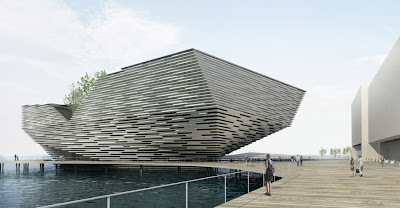 Scottish Labour's Culture spokesperson Pauline McNeill MSP also committed herself to delivering the V & A.
I am delighted that Scottish Labour will pledge to support the V & A at Dundee project in the manifesto for next year's election. I will be a strong voice making the case for Dundee, making the case for the V & A at Dundee. 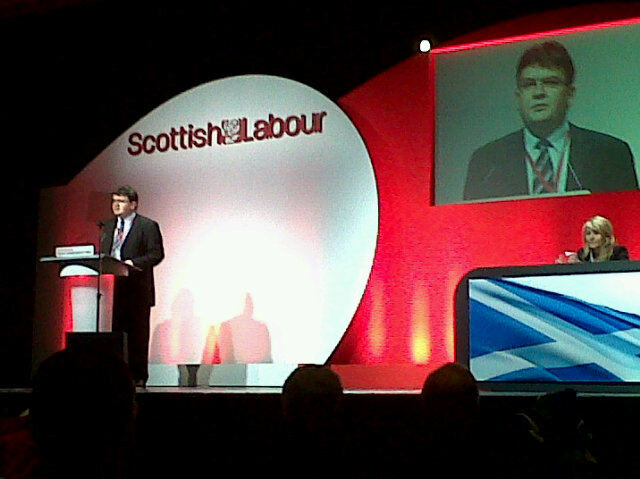 You can read my speech to the Scottish Labour Party conference here.